On-site RhinoGold training 10-hour block rate. This allows you for example to schedule 2 hours blocks over a period of time. This can be used “ad-hoc”, with a minimum of a 90 minute blocks. For example you might have an urgent design which you need assistance to complete. Or you might want help to model an entire design which requires a few hours of training, possibly over several sessions. 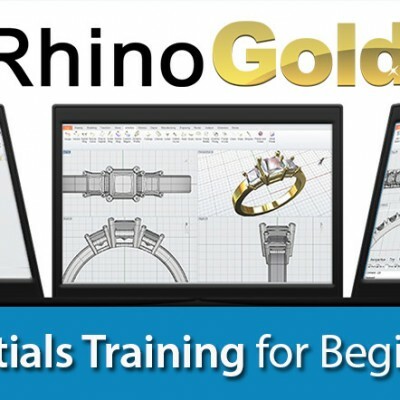 Typical use of block rate hours is for on-site training, and assistance with modelling a design in RhinoGold or Rhino. Our trainers have over 46 years combined bench experience, and over 16 years combined CAD experience.